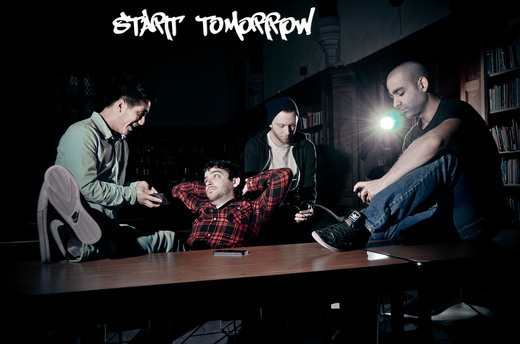 Since 2007, Start Tomorrow has been writing and performing punk music with a heavier edge. Originally inspired by pop-punk legends like blink-182 and New Found Glory, Start Tomorrow began to build on that style with heavier riffs, louder drums, and creative breakdowns. After a short break while all the members attended school, they have reunited with an entire catalogue of new songs. They're starting small, but Start Tomorrow is introducing the world to their brand of power punk one song at a time.